ARM has told TechRadar that the impending arrival of 4G networks in the UK is "really important" to getting the next generation of mobile tech into the British market. ARM's director of mobile solutions, Laurence Bryant, explained that the next generation of smartphones need access to data faster, and also how that throws up new challenges. "I think it's going to be really important," Bryant told TechRadar. "Clearly today the handsets have got to the point where you are doing more and more on the devices. "What's going very quickly in this market in terms of what you can do in terms of features and what you get [in terms of data] is increasing what you want to do on your mobile device. "You can go a long way on 3G and you can go a long way with Wi-Fi but clearly LTE brings benefits. "You 'chat' more frequently on the network… and when you have large amounts of data you want to be able to process that information quickly. "Having a diverse range of processing support is vital as you are doing more and more on your devices. "We are packing all the computing performance you need into a handset. I think that's why LTE 4G is a fundamental part of how the mobile experience will evolve and OEMS are putting this together in a more seamless smart device." 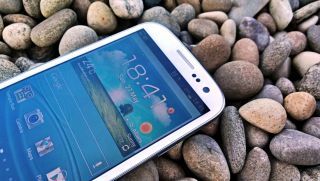 ARM's CEO Warren East has suggested in the past that 4G combined with more capable handsets meant he arrival of a new category of 'superphones', and Bryant highlighted the Samsung Galaxy S3 as a good example. "A whole combination of things make a smartphone a superphone for me," said Bryan. "It's a short-lived thing and it's what defines the latest and greatest in smartphones. If you want an example of a superphone today then it's the Samsung Galaxy S3."